If you’re looking for healthier hair care products that leave your hair clean without the damaging chemicals, here’s an offer to check out. 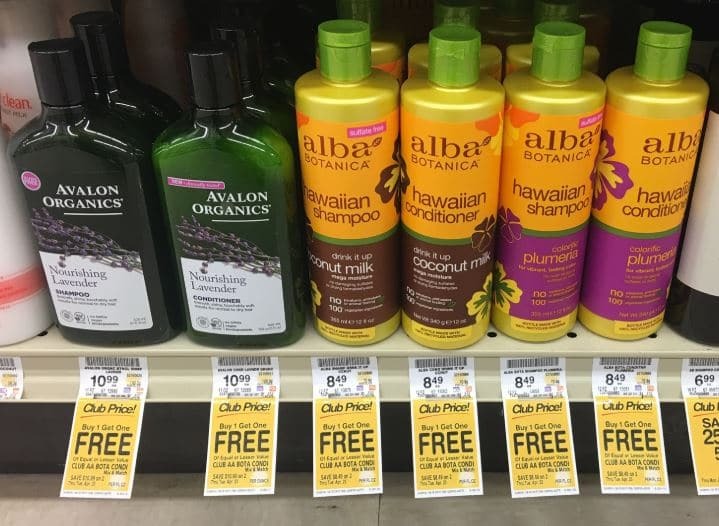 Scoop up great savings on organic shampoo & conditioner at Safeway right now. When you shop through April 23rd, head over to the personal care aisle. You’ll find Avalon Organics & Alba Botanica Organic Shampoo and Conditioner on sale. After the buy 1, get 1 FREE deal you’ll end up saving 50% easily. That means Alba Botanica bottles for $4.25 each & Avalon Organics products for $5.50 each!